The Christmas party season is fast approaching so why not discover a selection of our favourite Christmas party venues in London? Whether you’re looking for an inspiring gala dinner or an intimate private dining room, there are a variety of inspiring options available. At Villiers, our Venue Finding team sources premier venues across London for your bespoke requirements. Get in touch today to start planning your next Christmas party. A key part of London’s skyline, consider a more intimate dinner for 140 people at Searcy’s The Gherkin. With 360-degree views over the City, Searcy’s is a breath-taking venue on the top three floors of the Gherkin. Expect contemporary and bold catering designed by Head Chef Arnaud Steven. A memorising glass dome ceiling provides the perfect centrepiece for your Christmas party. Christmas comes to life at LSO St Luke’s, home of London Symphony Orchestra located between Shoreditch and the City. The combination of 18th century architecture and award-winning theming, creates an elegant and enchanting evening perfect for Christmas. Accommodating up to 220 people for a seated dinner, and providing spectacular cuisine throughout the evening. There’s no experience quite like celebrating Christmas in style at LSO St Luke’s. In the heart of central London, 8 Northumberland Avenue boasts two stunning ballrooms creating the perfect spaces for a Christmas party with an awards ceremony. Awe inspiring Victorian interiors that feature high ceiling and decadent detailing, expected of ‘one of the grandest ballrooms in London’ (English Heritage.) For a magical evening, 8 Northumberland Avenue awaits. Beloved restaurant, The Wolseley has one of the most beautiful private dining rooms in London. It’s style and grandeur is perfect for Christmas celebrations. All of London’s heritage and Vienna’s grand cafe interiors married in this world-famous restaurant. The private dining room features dark wooden panels and intimate lighting from where your guests will enjoy an evening of spectacular cuisine and flawless service. 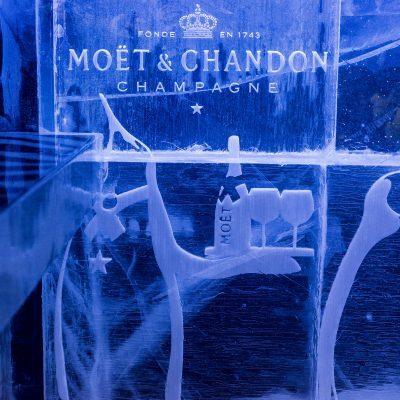 For an unforgettable Christmas experience, why not try your hand at ice carving at the Ice bar in Mayfair? Carve your own ice sculpture with the help of expert ice artists. After, head through for a cool drink in the world-famous Ice bar where the walls, glasses and tables are all made from crystal clear ice. Enjoy a spectacular dinner and drinks in the cosy Reindeer Lounge. Whilst at the Ice bar, your guests can also try their hand at Mixology, for a fantastic seasonal activity. A unique architectural marvel, Roundhouse is a phenomenal venue that can seat dinners for up to 850 people. Wander through the venue onto the circle balcony for a drinks reception, from here you can overlook the main event space. An iconic space, the Roundhouse has delivered creative and imaginative events for over 50 years. The flexibility of the Roundhouse as a venue allows you to truly make your Christmas party special. Last year Coppa Club provided the unique opportunity to dine in an Igloo looking on to Tower Bridge…this year they are confirmed to be back and better than ever. Coppa Club’s genius alfresco dining experience combined gourmet, seasonal cocktails and unbelievable views. Each of the Igloos are fully heated, but festive sheepskin blankets add to the décor of the Igloo. There is no more perfect intimate Christmas venue than Coppa Club’s beautiful Igloos. Lick Me I’m Delicious adds whimsy and creativity to any event. Whether it’s a perfume that tastes as good as they smell, even the bacon sandwich option. Or a machine that creates edible bubbles in a magnitude of flavours, straight out of Willy Wonka. Furthermore, a frozen ice cream parlour with instant flavours that can include everything from a Raspberry Mojito to Curry flavoured ice-cream. If you’ve dreamed it, Lick Me I’m Delicious has created it. Design your perfect Christmas party this year with Villiers. Get in touch today to create an experience to treasure.